Victim of a Defective or Bad Seat Belt? You know the signs along the highways. You've seen commercials on TV. You probably know it's the law. Seat belts save lives, and you should wear yours every time you're in the car. Buckling your seat belt is something many of us automatically do when we get into a vehicle. You trust that it will keep you safe if you're in a car accident. How can a seat belt hurt someone? 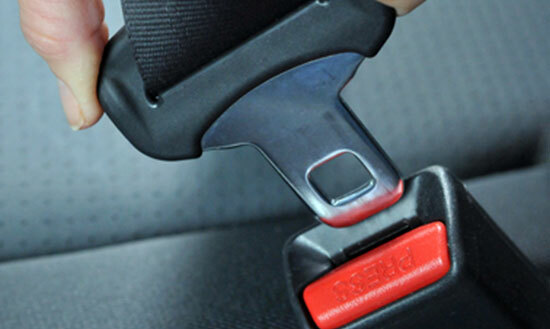 If you were seriously injured in a car accident because of a seat belt defect, you may have a case against the manufacturer, supplier, or distributor of the seat belt. Even though the company probably didn't cause the collision itself, they can be held responsible if the seat belt defect made your injuries worse. For over 35 years, Edgar Snyder & Associates has helped victims hurt by defective products get the money they deserve. Product injury cases are complex, and it's very hard to go up against huge manufacturers, suppliers, distributors, and insurance companies alone. There are so many opportunities to make mistakes that you could lose your case quickly if you don't know every angle. With our law firm on your side, you can take back your life. You can get the compensation you deserve for your injuries and medical bills. You can focus on what's most important – your health. If you or someone you care about have been seriously injured in a car accident because of a defective seat belt, don't wait to find help. Contact us for your free legal consultation. There are no strings attached, and you're not obligated to use our services. Let us help you get back on track after your accident – get in touch with us today.